If you think that a perfume is there just to cover up the poor sweat stink, you need to think again. A perfume is much more than just good smell. In the olden times, rules and influential people used perfumes to entice masses around them. They used a special blend of scents created by combining several natural ingredients in their perfumes and were able to intimidate anyone just by the whiff of the perfume. According to one tale, Queen Cleopatra created a special perfume before landing in Rome. She applied the perfume and doused her ships with the scent, making the Romans take a whiff of the scent even before she landed on the docks. She not only intimidated them but won all the arguments, making the trip worthwhile. Although you can’t win the Roman empire, you can still win the hearts and confidence of the people around you by wearing the right perfume for the right occasion and time of the day in the right quantity. Perfumes for office: Office is the place where you want everyone to take you seriously. Along with dressing elegantly, try to stick to the subtle scents. Wearing too strong scents in the office can mark you like the guy or gal who screams for attention. You want to be elegant and authoritative in your approach, which can be represented using subtle yet warm gourmand notes, spicy notes, or warm woody notes. If you love floral fragrances, you can try out anything, which is comforting and gentle. Perfumes for every day outdoors: If you are looking for everyday perfumes for outdoors, colleges or casual wearing, you can never go wrong with the citruses. You can also try fresh notes, fruity notes, floral notes, but try to keep the scent soft. Perfumes need heat to travel and your delicate scents can easily travel around. You can find this type of perfumes with MPF colognes. Perfumes for gyms and sports: In the gym and sports arenas, you wear perfume to cover that sweaty odour. For doing this, make sure to stick to antiperspirant perfumes and deodorants with fresh notes, citrusy notes and herby notes. They will not only eradicate the sweat odour but will help you to feel rejuvenated and relaxed even after working hard on the field. You can find several perfumes for men and women with these notes. Hint: Look for any perfume or deodorant with packaging in colours green and blue. Perfumes for parties: Since you need to make a mark in the parties, a good strong perfume can do the trick. Try the strong floral scents, oriental perfumes or the woody spicy ones for the best results. A lot of people will be wearing strong scents in the party, so it is better to stick to the unique notes which makes you stand out. Highly aromatic oriental perfumes are considered the best options for men and women alike for parties and such late night gatherings. How much perfume is enough for any occasion? Since you need a fragrance to captivate people and not to conquer Roman armies, it is wise to stick to the two spray rule. Wearing too much perfume can make you seem like a wannabe who is trying too hard for the attention. Moreover, you do not want everyone around you to feel uneasy whenever they come close due to the extremely annoying fragrance. Go with highly aromatic perfume with high fragrance concentration. These tend to last for longer hours without you requiring to spray every now and then. With very high-quality best fragrances for men and women, just two sprays are enough to last for more than 10 hours. To get the best results out of a perfume, it is essential to apply it to the right places. Pulse points on your body are the heat emitting zones which can help the perfume to evaporate at a decent rate giving you a good sillage and longevity. However, for every place, the pulse point is slightly different. Such as for parties, you can apply perfume on the back of your neck, on your chest and behind your knee if you are wearing a dress. For the office, wear perfume on your wrist, on the back of your neck and underarms if you are wearing sleeveless outfits. For everyday wear, you can choose any of the two pulse points. The key is to go with the ones which are exposed on your body to allow the perfume to evaporate properly. Following these simple tips and wearing the right perfume for every place and occasion, you can be the best smelling guy or girl. 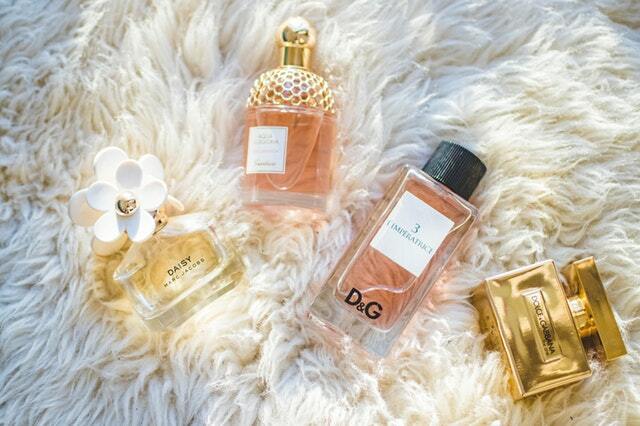 Always stick to the high-quality perfumes for a long lasting effect.